What’s inside: An exciting edible gummy bear slime recipe that’s squishy and stretchy…yes, it’s really made with gummy bears! Slime is one of our all-time favorite sensory materials and we wanted to make one that was not just taste-safe but completely edible and delicious! This gummy bear slime is the perfect slime for birthday parties, mixed age groups, or a fun rainy day sensory activity. 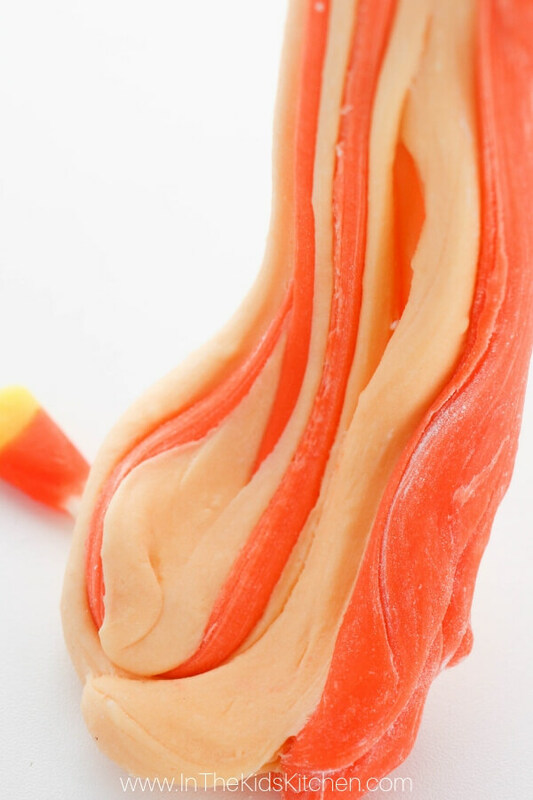 We tried 6 different candies to make the perfect candy slime and while this candy slime was our favorite for texture, this Edible Gummy Bear Slime was waaay easier to make, the slime lasted longer and it didn’t involve cooking – just a quick zap in the microwave. Related: Don’t have gummy bears on hand? 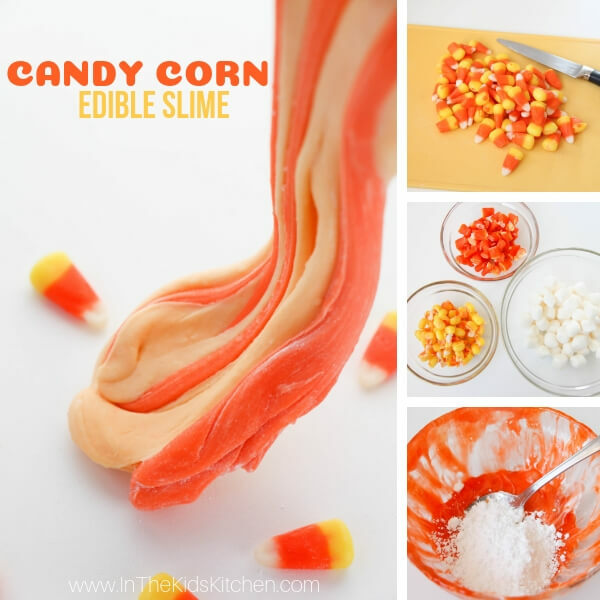 Try our Edible Candy Corn Slime instead! The final product is a stretchy, marshmallow-like slime that smells amazing and tastes delicious. It was a bit thick and tacky, but it kept in a sealed container for a couple of days which I thought was awesome for how little work was involved in making the recipe. What is gummy bear slime like? This is not an oozy, drippy, get-everywhere slime. It’s kind of like pulling taffy – it stays together and you kind of need to pull and stretch it to see it’s slime-like properties. I actually prefer this cohesive texture when making it for young kids so it’s not a giant mess to clean up after they are done with their slime sensory play. For best results, use a microwave safe bowl for cooking the gummy bears (plastic could melt). Grown-ups should handle that part of the process. 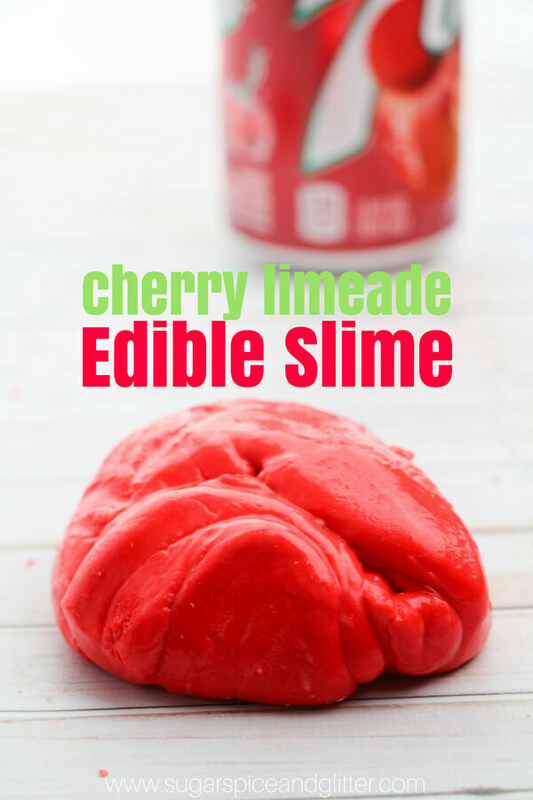 Related: Be sure to try our brand NEW Edible Cherry Limeade Slime too! Heat the gummy bears in the microwave for 10-15 seconds, stir, and reheat as necessary to break down the gummy bear shape. (Be sure to use a microwave-safe bowl and handle carefully). Stir and then knead in your icing sugar and cornstarch in equal amounts, until the gummy bear slime forms a cohesive dough/slime consistency. 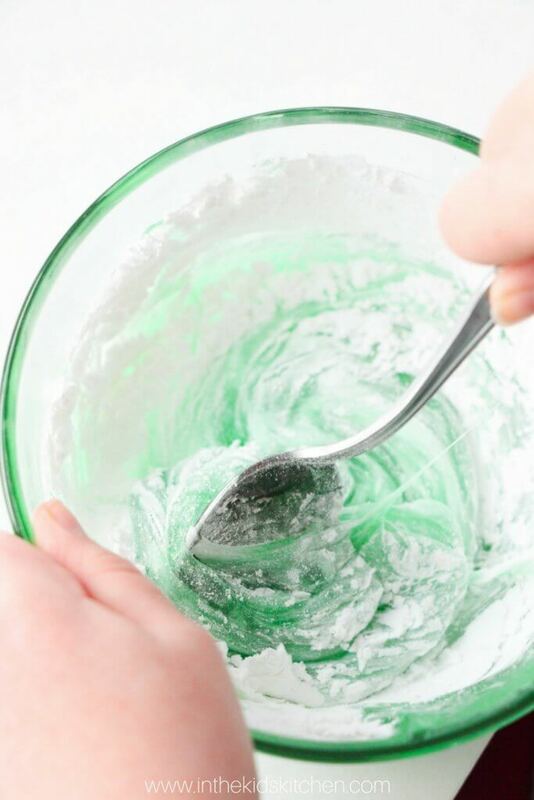 The more you add, the less sticky the slime will be – but also the more you add the thicker and less stretchy it will be, so try to find that perfect sweet spot. 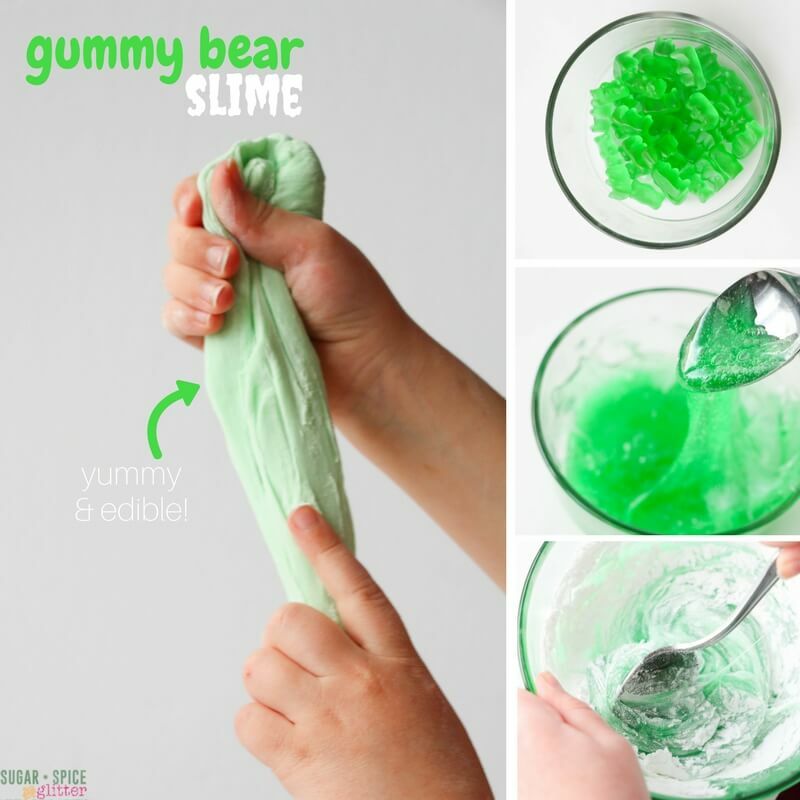 TIP: Add a small amount of coconut oil if you want the gummy bear slime to be a bit stretchier. 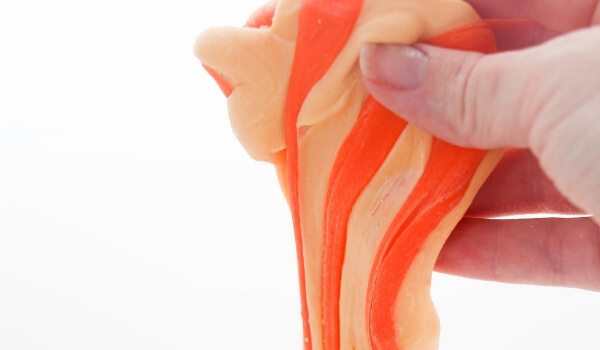 Kids will love to smoosh, squish, stretch and taste this delicious gummy bear slime! 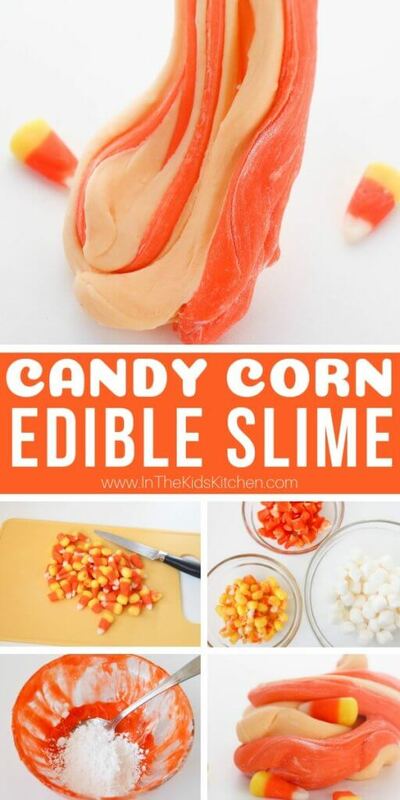 The slime is a bit tacky, so if that bothers you, have some extra cornstarch or oil on hand to coat your hands with. 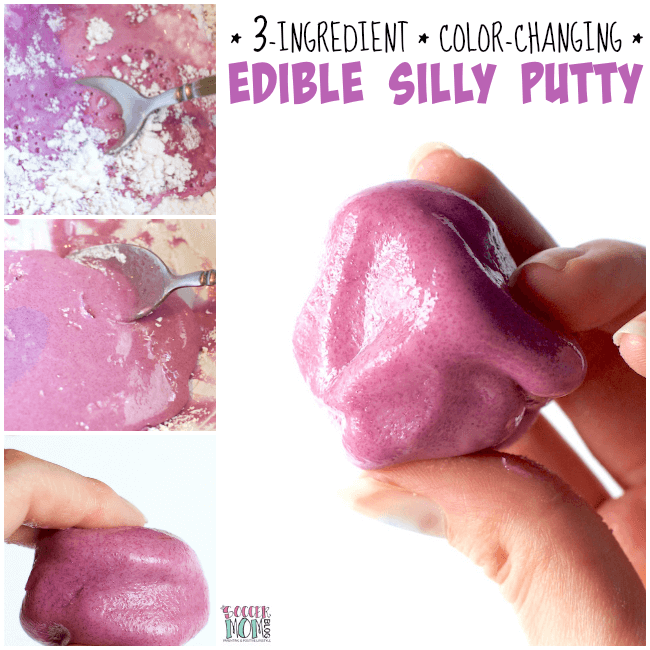 The more you play with any edible slime, the stickier it can get so you may need to add more cornstarch/icing sugar to the slime if you find that it’s getting sticky (and not just a bit tacky). 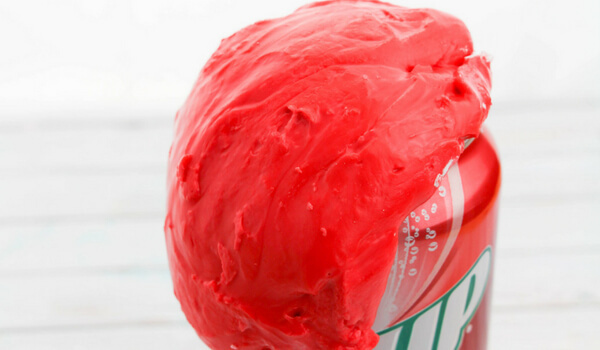 Click here to learn more about how to make slime using edible ingredients right from your kitchen! 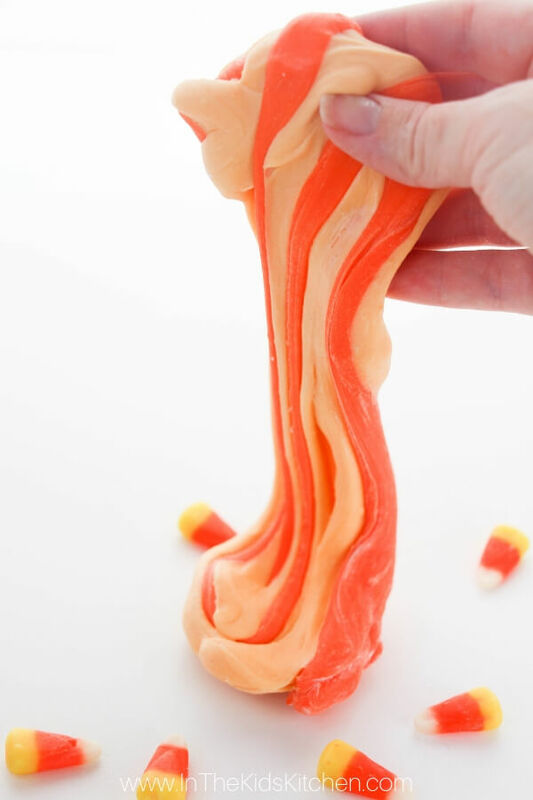 Stretchy gummy bear slime made from 3 ingredients - it's edible! Microwave gummy bears in a heat-safe bowl for 10-15 seconds. Stir, and continue heating in 10-15 second intervals until gooey. Stir in powdered sugar and cornstarch in equal amounts, until the gummy bear slime forms a cohesive ball. When your gummy bear slime is too tough to stir with a spoon, finish kneading by hand. 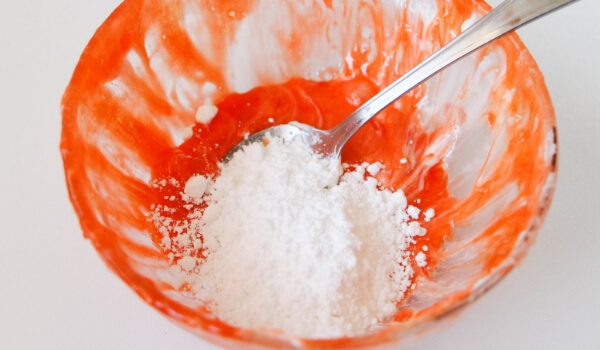 Add more cornstarch little by little (if needed) so that slime no longer sticks to hands. 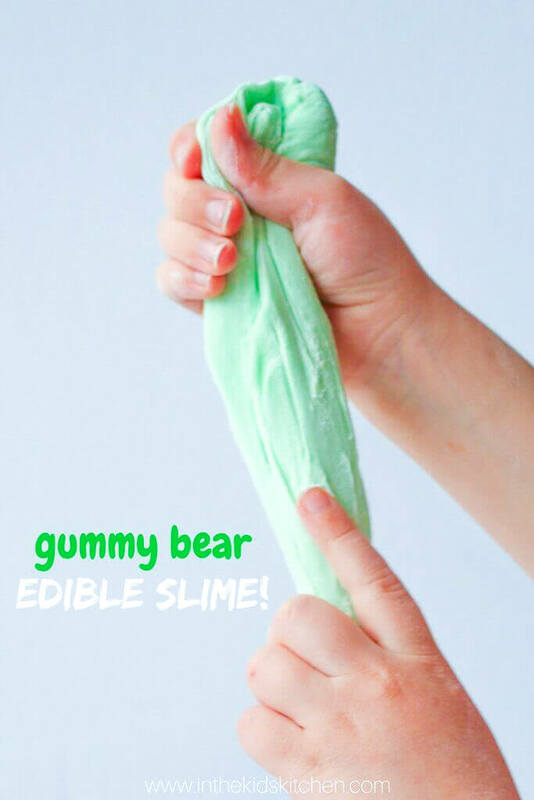 This edible gummy bear slime was so much fun to play with and my daughter got a huge kick out of being able to “sneak” little nibbles of her slime as she played. It would be perfect for a candy-themed party or a Willy Wonka movie night. 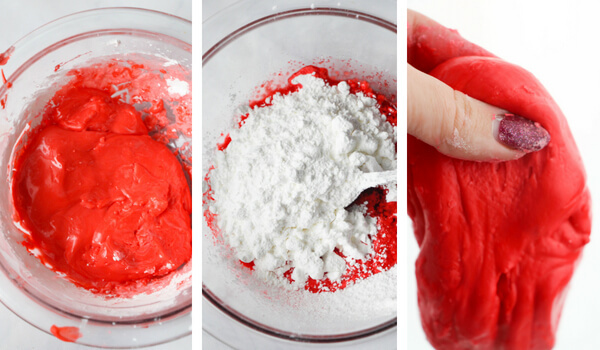 Inside: If you’re ready for a break from slime, then you’ve got to try our super-soft scented Christmas Play Dough! We’ve included four easy no-cook recipes for holiday fun at home, or as a homemade gift idea! 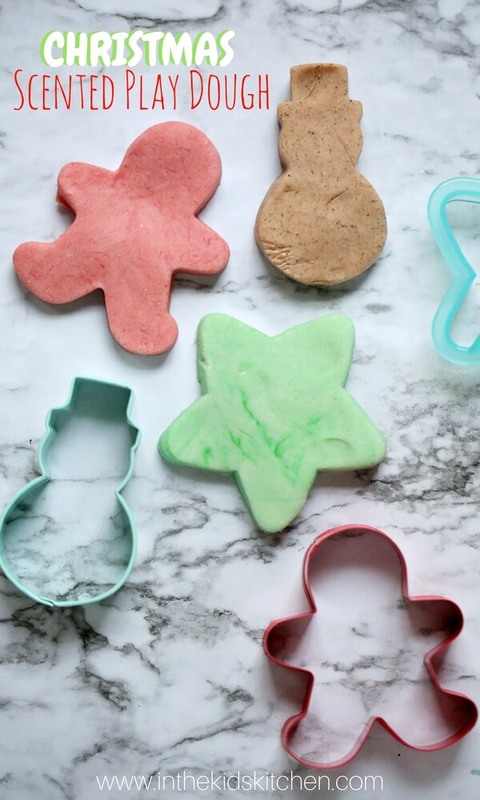 Homemade play dough is so incredibly easy to make – and it smells way better than anything you can buy at the store. I love customizing ours with scents, colors and sometimes even added texture. When my daughter was in kindergarten, I loved volunteering to send in a giant kindergarten play dough kits for all of the kids – thinking up little add-ons to put in all of the sections of the container and coming up with a few fun varieties of play dough to fit whatever theme they were focusing on that week. 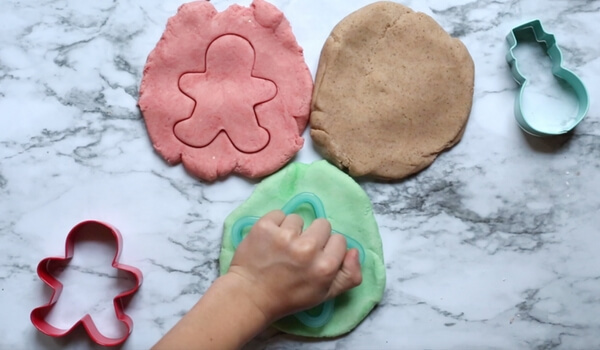 In grade one, we just get to play with play dough at home – but we are definitely taking advantage of the holidays to whip up some big batches of play dough for some fun hands-on gifts! 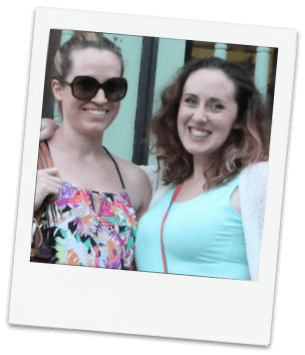 Be sure to also include the free printable recipe (at the bottom of this post) in case they love it and want to make more! This play dough recipe usually lasts me at least a month before I think we need a fresh batch. Make each play dough in a separate bowl. Mix the flour, salt, cream of tartar, and spices for each in a large mixing bowl. Stir continuously until it becomes a sticky, cohesive dough and then add the glycerine. 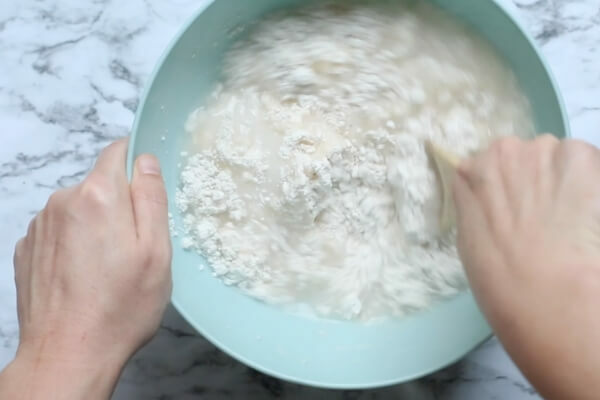 Knead it vigorously for a couple of minutes until all of the stickiness has gone – this can take up to four minutes, but start adding a bit of extra flour after two minutes if it is still a bit too sticky. 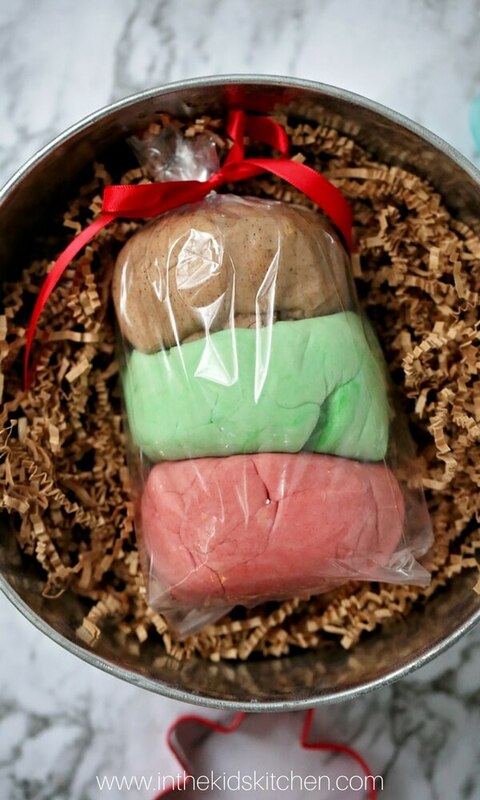 Super-soft scented Christmas Play Dough! We've included four easy no-cook recipes for holiday fun at home, or as a homemade gift idea! 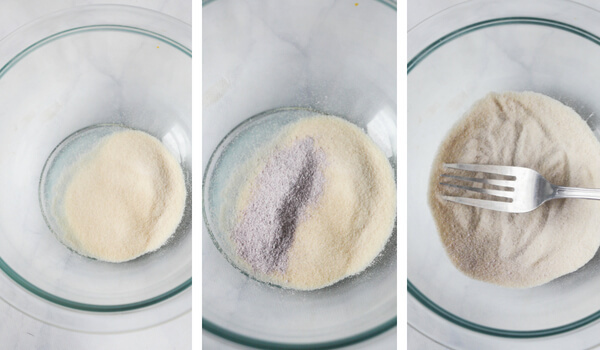 Combine the flour, salt, cream of tartar, and spices (for one type of play dough) in a large mixing bowl. 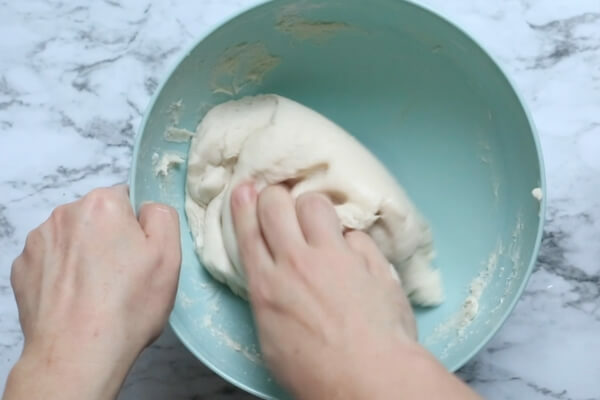 Knead dough vigorously for a couple of minutes until all of the stickiness has gone - this can take up to four minutes, but start adding a bit of extra flour after two minutes if it is still a bit too sticky. 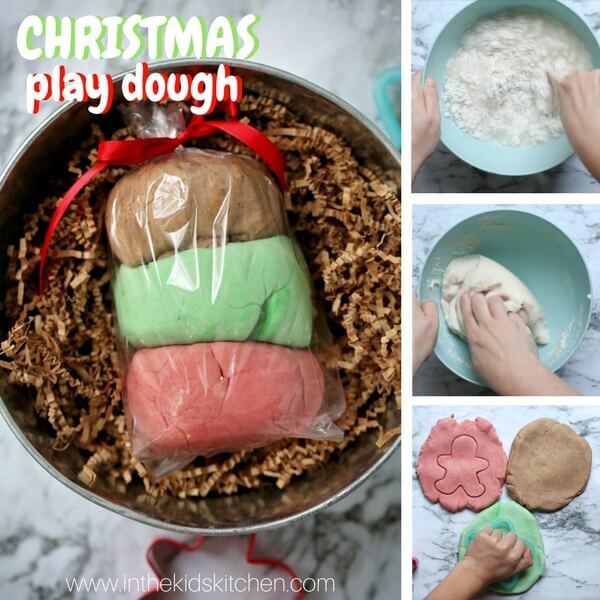 Repeat for each separate batch of Christmas play dough. 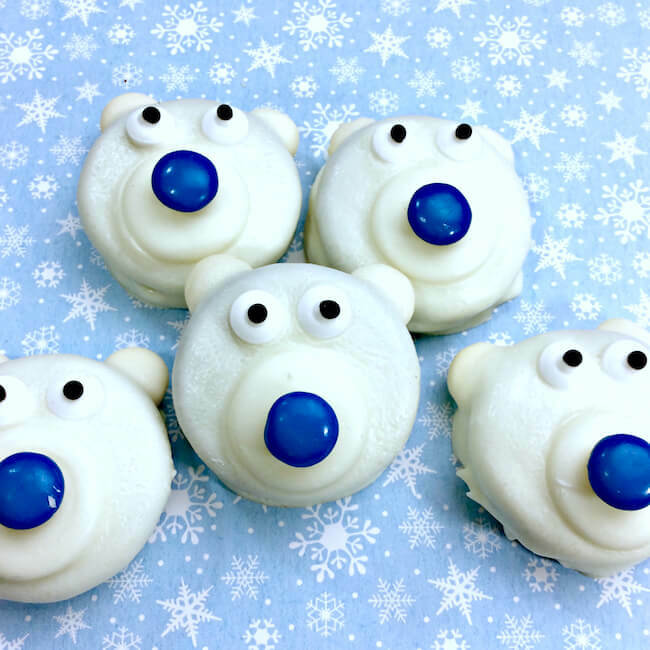 For more fun hands-on holiday fun, check out our scented Gummy Bear Slime or our OREO Polar Bear Cookies. 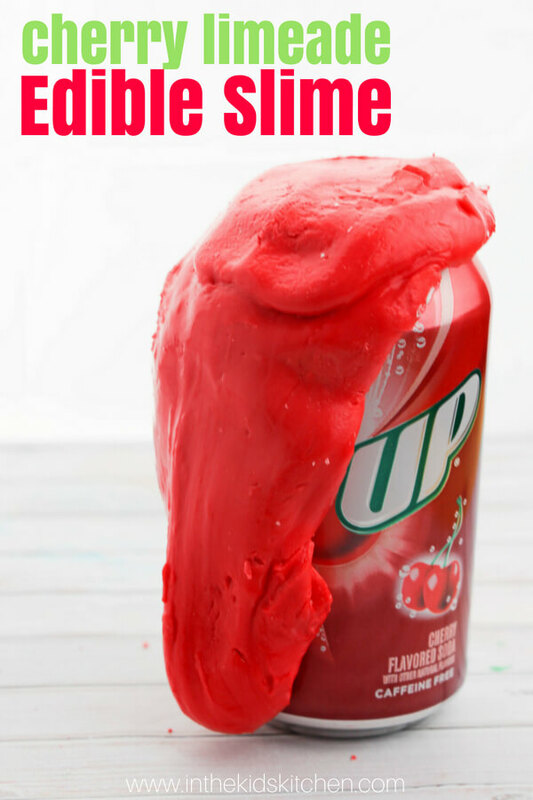 What’s Inside: A fun slime recipe inspired by our popular Copycat Cherry Limeade recipe, this Edible Cherry Limeade Slime is super easy to make and completely edible! Perfect for mixed age groups or just a fun kitchen science experiment! One of my favorite things to do with my daughter on rainy days is play around with different ingredients – whether we’re trying to make fun new recipes, or engaging in a bit of kitchen science! We recently bought a few flavored drink crystals to make homemade lip gloss – and we had plenty left over! So, naturally, we started experimenting with them. 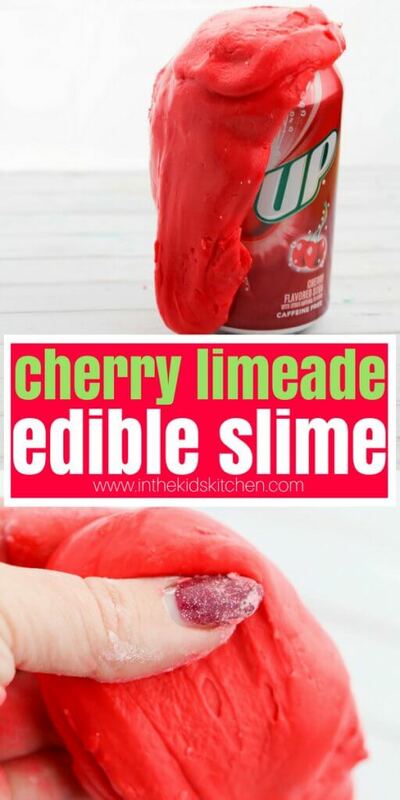 I remembered my friend Stacey (my partner in crime on this site) had perfected a Jello Slime so I thought we could use some flavorless gelatin to make an Edible Cherry Limeade Slime! We buy edible gelatine in bulk to make homemade bird feeders, but you could also use Knox brand plain gelatin, vegan gelatin or even a sugar-free cherry Jell-O packet. 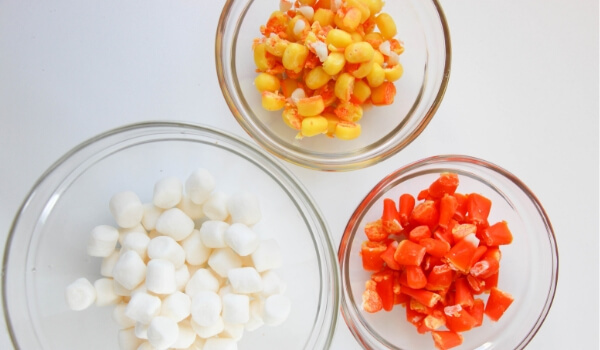 I would avoid using plain Jell-O as I think the sugar would make this recipe super sticky! This slime turned out super stretchy, with a hybrid play dough-slime consistency that was less messy and stringy than traditional slimes. The slime does dry out due to the cornstarch, but if you knead in some water, it will stop flaking and come back into a cohesive slime. 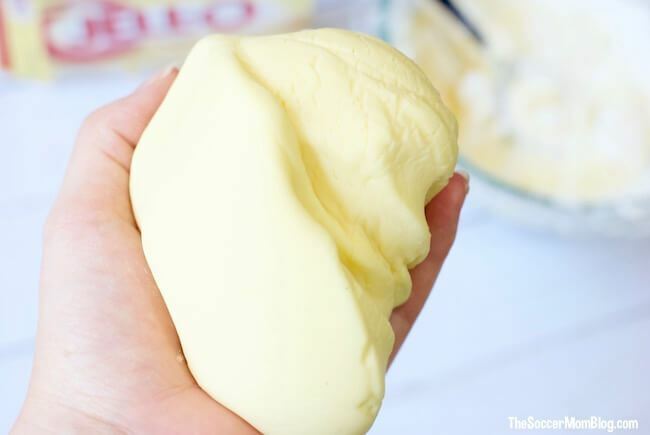 If your slime is too dough-like and tough, knead in more water to get a more slime-like consistency. 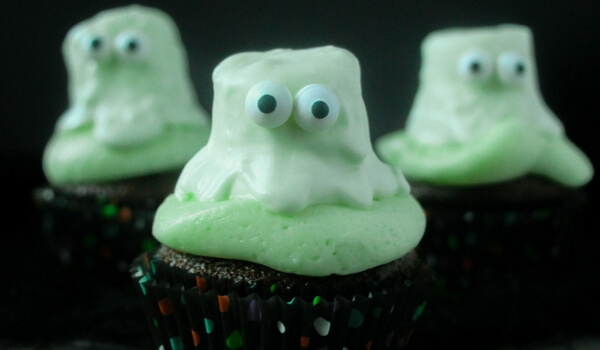 Tip: you can use Knox-brand gelatine or for a cheaper route, hit up your local bulk store for plain gelatine powder. 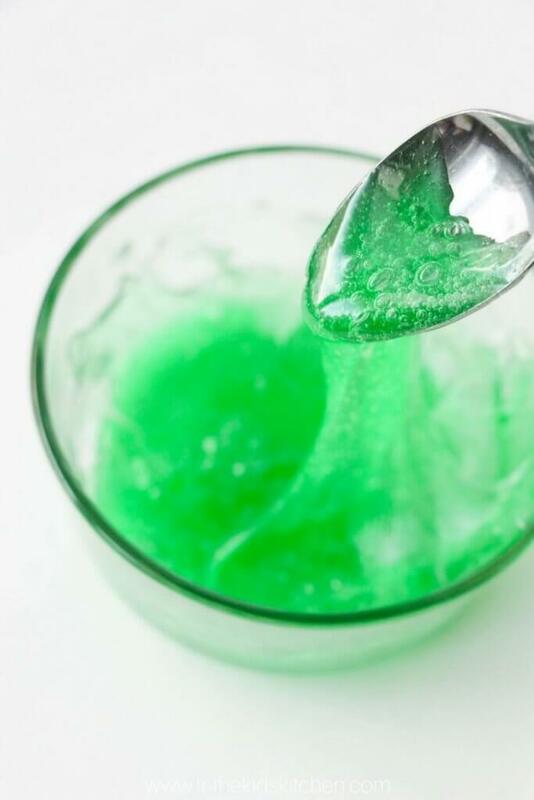 In a large bowl, combine the plain gelatin and drink crystals. You can either add the water or the cornstarch next – some people will find one easier than the other so do what works best for you. Stacey prefers adding the cornstarch first and adjusting the amount of water, but I like having more control over the cornstarch. Either way, mix all ingredients until well combined and then knead for at least 2 minutes. 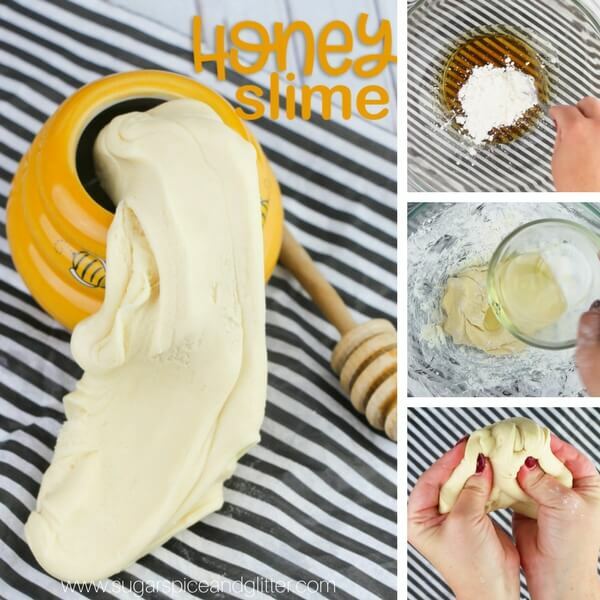 The slime should be stretchy and cohesive, without being sticky or goopy/messy. If it’s too sticky, add more cornstarch. If it’s not stretching well and is resembling a hard dough, add a bit more water. 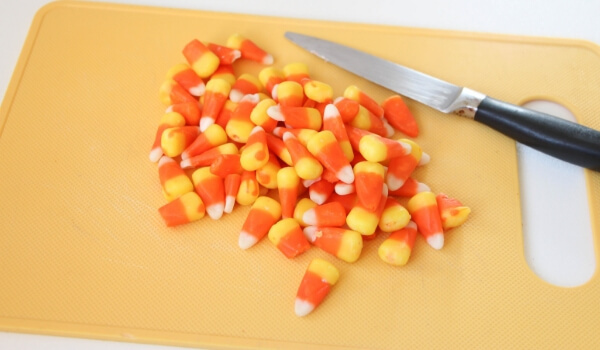 In a large bowl, combine the plain gelatine and drink crystals. You can either add the water or the cornstarch next - some people will find one easier than the other so do what works best for you. Stacey prefers adding the cornstarch first and adjusting the amount of water, but I like having more control over the cornstarch. The slime should be stretchy and cohesive, without being sticky or goopy/messy. If it's too sticky, add more cornstarch. If it's not stretching well and is resembling a hard dough, add a bit more water. 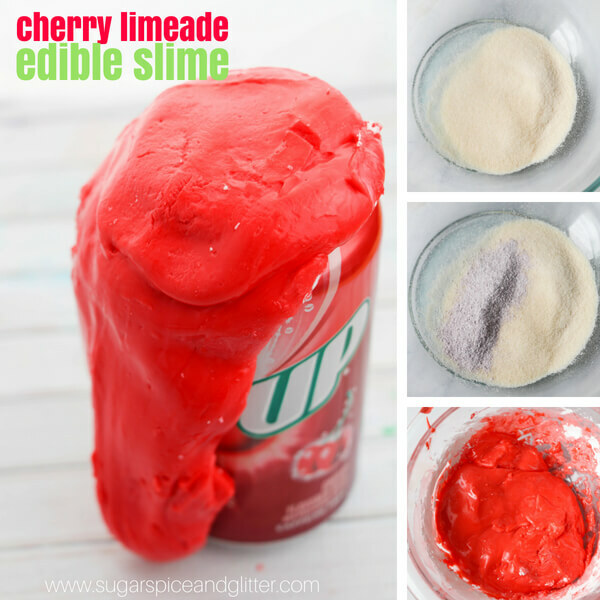 This Edible Cherry Limeade Slime is such a fun summer sensory activity for kids! 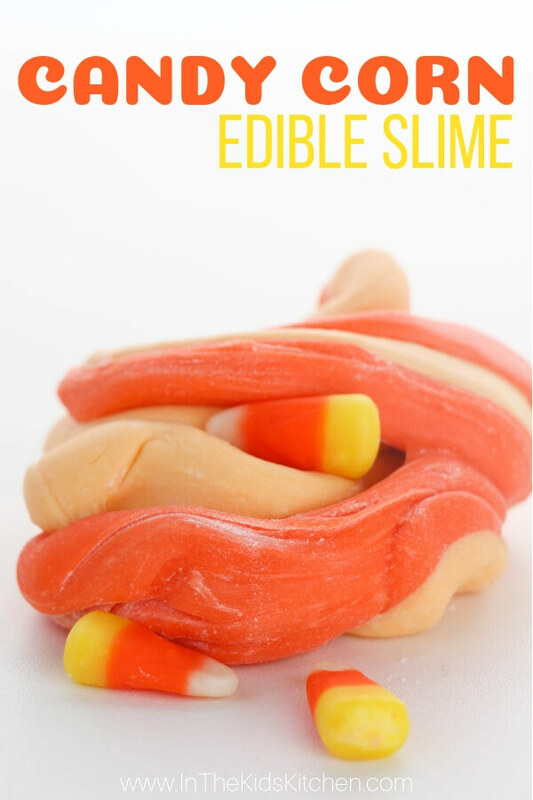 Use the base recipe to make a variety of different edible punch and soda-flavored slimes! For more fun edible slime recipes, check out our Edible Gummy Bear Slime, Stacey’s Edible Pudding Slime or my Edible Honey Slime. 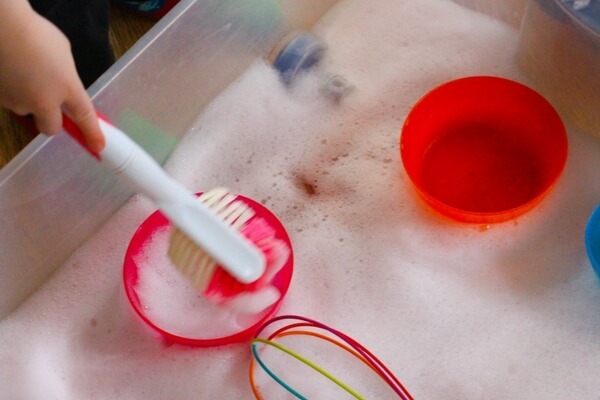 One of our favorite easy sensory bins to set up is a Soap Foam Sensory Bin. 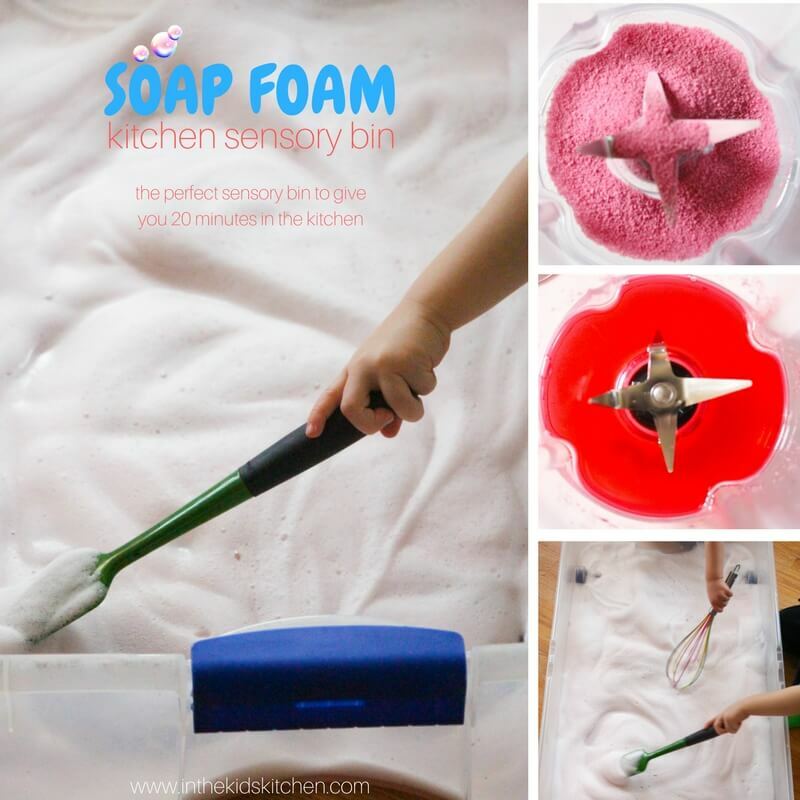 I usually make soap foam in the summer and fill up our water tables with it, but I was recently preparing a special supper and wanted to keep the kids busy in the kitchen as I focused on cooking. This easy kitchen sensory bin took me minutes to set up and entertained the kids for close to half an hour while I cooked! Even better, it was a breeze to clean-up! This is the perfect quick activity when you don’t just want to stick the kids in front of the TV. 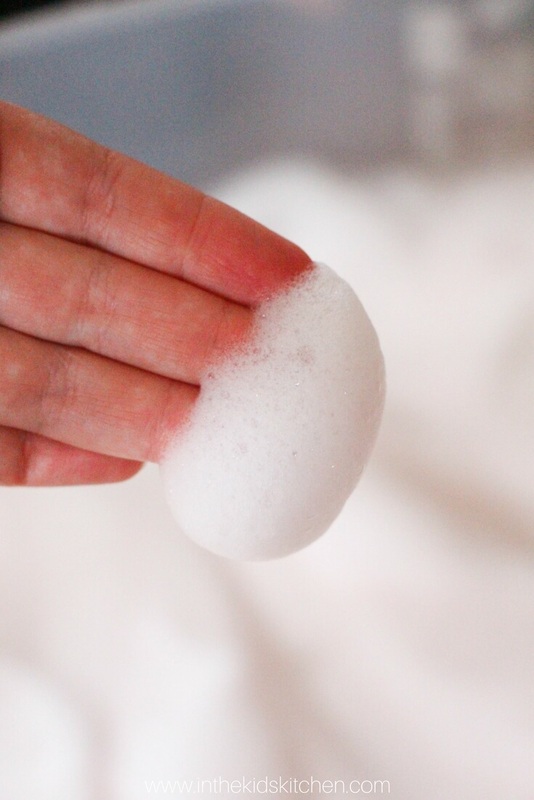 My first attempt at making soap foam was an utter failure because the tutorial I read suggested using a mixer – like the kind you mix cookie dough with. 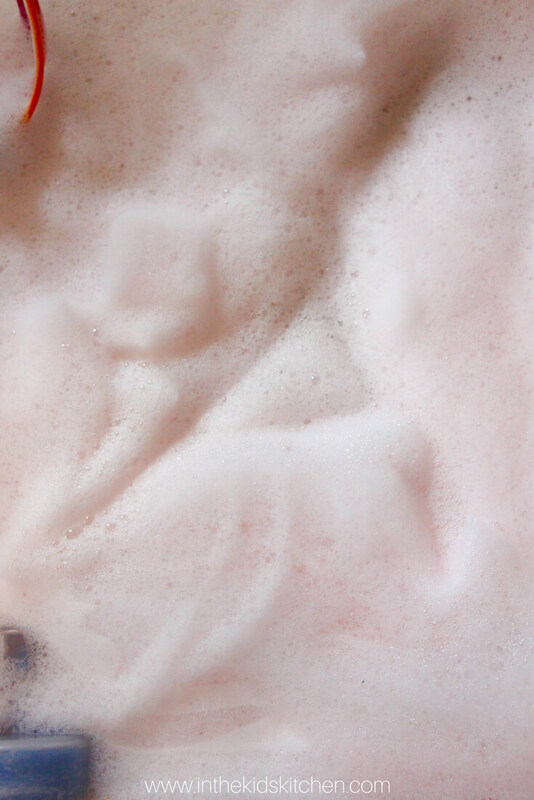 But soap foam looked like too much fun to give up! So I improvised and used a blender instead — this time it worked perfectly! The soap lasts for quite a while before all of the foam eventually dissolves and leaves a small puddle of water in the sensory bin which I just brought right over to the bath tub and poured out. Easy set-up, easy clean-up. This easy sensory bin bought me 20-30 minutes of interruption-free kitchen time which was an absolute miracle. I was able to keep the kids in the kitchen with me without having to worry about them getting underfoot or fighting (I added LOTS of kitchen utensils to the bin) so this bin is a definite win! Tip: you can add liquid watercolors or food dye for a more colorful soap foam bin, but my goal was to make something fun for the kids quickly with what I already had in the kitchen. STEP ONE: Add the drink crystals and dish soap to a blender and add 1 cup of water. Blend until the blender fills with soap foam. STEP TWO: Empty out the foam into your storage bin and keep blending, adding more water as needed to keep producing more and more foam. 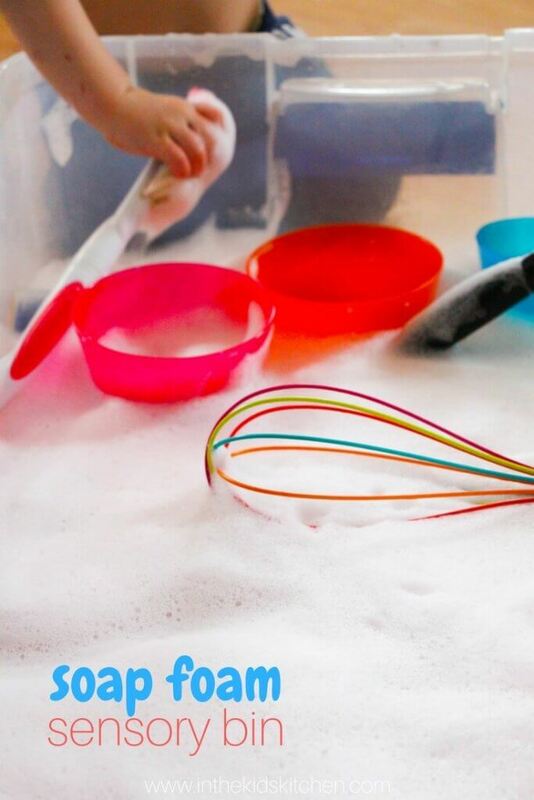 TIP: When you have filled your storage container with soap foam, add a few kitchen tools for the kids to play with and enjoy the few minutes of kitchen freedom this sensory bin has bought you! I hope you give this easy kitchen sensory bin a try – let me know how your kids liked it and how you used your “interruption free” time. 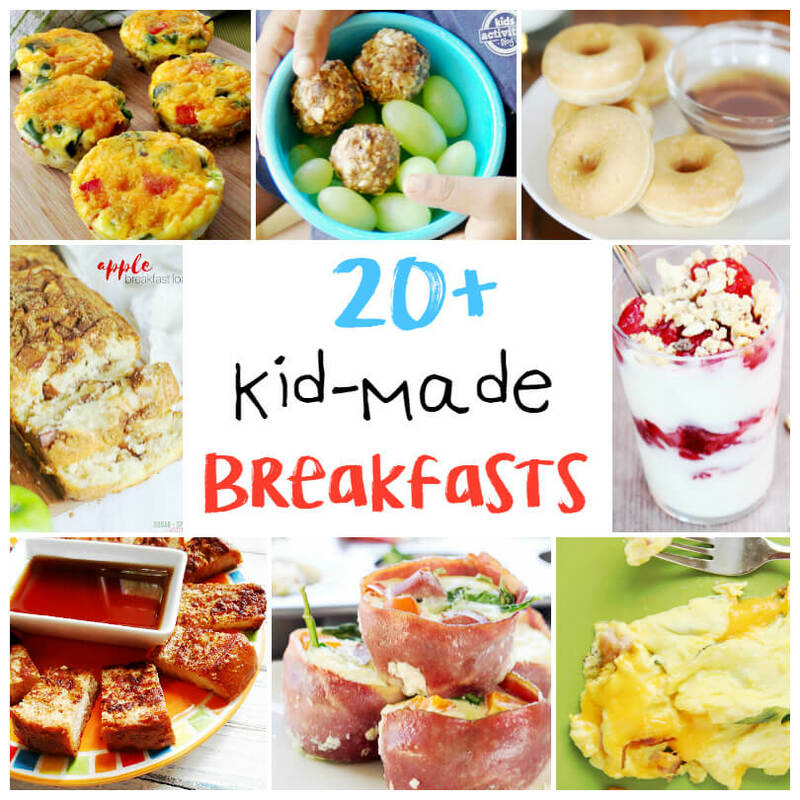 For more fun kitchen activities for kids, check out our edible gummy bear slime or our kid-made breakfast recipes.